A new estate farmhouse designed by Craig Hamilton was granted planning consent at a Stratford District Council Planning Committee meeting on 6 February 2019. The Committee overturned the recommendation for refusal from the Planning Officers, and in so doing confirmed that the design met all the requirements of NPPF Paragraph 79 which allows new country houses in exceptional circumstances. The proposals were supported by the CPRE, Ward Councillor and the RIBA Traditional Architecture Group Peer Review Panel. Edmund Browne and Peter Folland recently attended the Stone Federation awards in London. The chapel at Williamstrip won the Craftsmanship category and the Goldhammer Sepulchre was Highly Comended in the Craftsmanship category. Many Congradulations to the Stonemasons who produced such outstanding work on these projects. 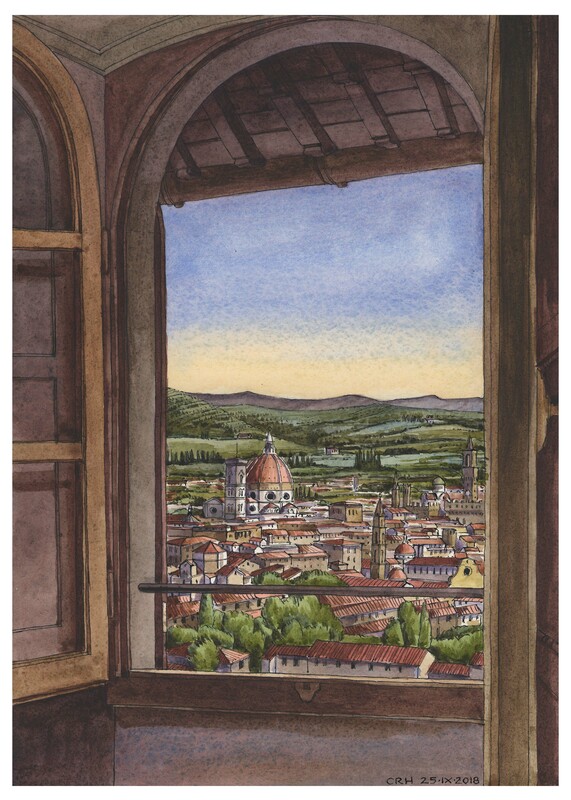 A pen and ink watercolour of the view over Florence from the Bellusguardo. 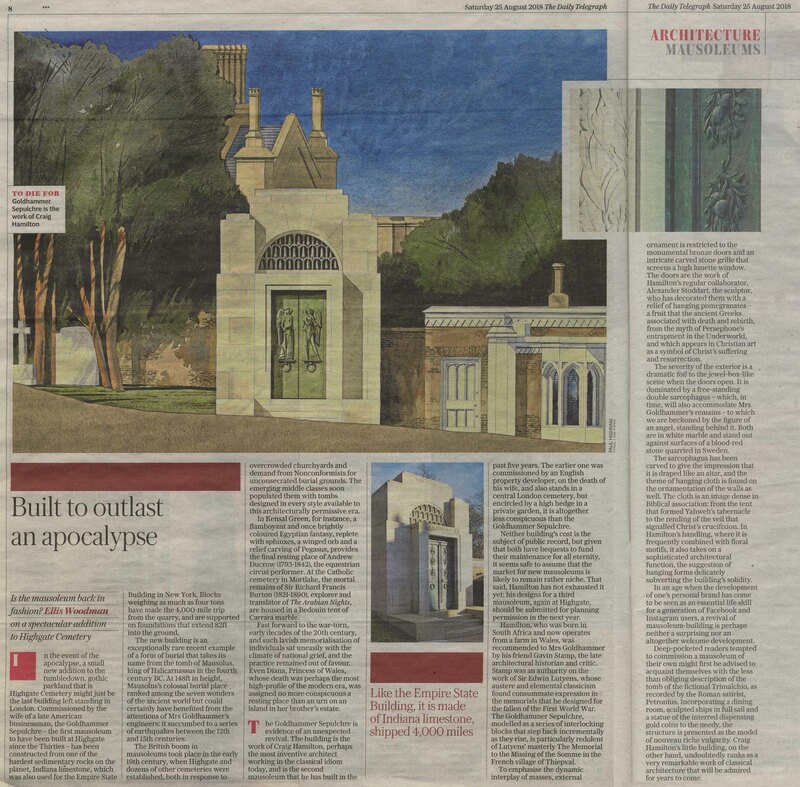 A new Sepulchre in the Highgate Cemetery has been featured in a Daily Telegraph article written by Ellis Woodman. Craig Hamilton's hand drawings have been featured in a recent County Life Article on Architect's hand drawings. Working drawing for the Chapel of Christ the Redeemer at Culham.